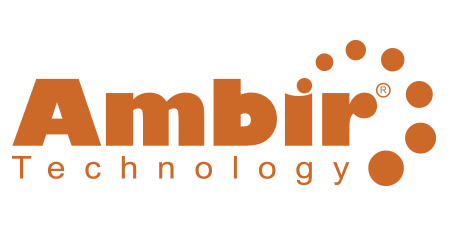 Case Study: Ambir Technology, Inc.
Bill Hawkins, President/COO, Ambir Technology, Inc. Since 2001, Ambir Technology has provided its customers and partners with integrated document management and imaging software solutions designed to simplify business processes. Initial NetSuite integration was set up by previous employees—leaving gaps in many processes and nagging issues that cost time, money and manpower to fix. Required a major overhaul of current CRM and accounting processes to streamline data entry and improve reporting. Keystone developed an integrated web-store, accounting, CRM and payroll capability—all within NetSuite. Customized Outlook to NetSuite integration to eliminate the need of cutting and pasting information between applications. Robust role-based dashboards to drive better decision making. Keystone provided staff training to improve use and user adoption of the new solution to ensure no gaps in various department processes. Keystone Business Services streamlined data entry and improved reporting, reducing errors and increasing information compliance rates throughout Ambir’s entire sales and customer support staff. Role-based dashboards were created to provide both users and management with real-time information to meet individual business needs—helping to consolidate and simplifying system administration tasks.